Professor Leiter holds a BA from Brooklyn College (1962), an MFA in directing from the University of Hawaii (1964), where he was an East-West Center grantee, and a PhD from New York University (1968). From 1972, he also was a member of the CUNY Graduate Center’s PhD program in theater. He has been a Fulbright Research Scholar to Japan (1974-75), received a Claire and Leonard Tow Award (1997), held a Claire and Leonard Tow Professorship (1997-98), received a Wolfe Fellowship for Research in the Humanities (1999-2000), and an Andrew W. Mellon Foundation Emeritus Fellowship (2009-2011), was named Broeklundian Professor (2001-2006), and became Distinguished Professor in 2003. In the summers of 1994 and 1995 he was Visiting Scholar at Waseda University, Tokyo; in May 2000 he was Scholar in Residence at Seikei University, Tokyo. Professor Leiter received eight research grants from the CUNY Research Foundation, and twice received funding from the Asian Cultural Council. He founded the Asian Theatre Bulletin, which he edited from 1971-78, became book review editor for Japan for Asian Theatre Journal in 1983, and, from 1992-2004 was that journal’s editor-in-chief. He also served on the editorial board of Theatre Symposium. His 25 books include The Art of Kabuki: Famous Plays in Performance (1979; revised edition 2000); Kabuki Encyclopedia: An English-Language Adaptation of Kabuki Jiten (1979); The Encyclopedia of the New York Stage: 1920-1930 (1985), 1930-1940 (1989), and 1940-1950 (1992); Shakespeare Around the Globe: A Guide to Postwar Revivals (1986); Ten Seasons: New York Theatre in the Seventies (1986); From Belasco to Brook: Great Directors of the English-speaking Stage (1991; Choice Outstanding Academic Book); From Stanislavsky to Barrault: Great Directors of the European Stage (1991); The Great Stage Directors: 100 Distinguished Careers of the Theatre (1994); New Kabuki Encyclopedia: A Revised Adaptation of Kabuki Jiten (1997); Japanese Theatre in the World (1997); Zeami and the Nô Theatre in the World (1998), with Benito Ortolani; Japanese Theatre and the International Stage (2000), with Stanca Scholz-Cionca; The Man Who Saved Kabuki: Faubion Bowers and Theatre Censorship in Occupied Japan; A Kabuki Reader: History and Performance; Kabuki Essays: 1966-2001; the four-volume Kabuki Plays On Stage collection (Brilliance and Bravado: 1697-1767, vol. 1; Villainy and Vengeance: 1773-1799, vol. 2; Darkness and Desire: 1804-1864, vol. 3; and Restoration and Reform: 1872-1905, vol. 4 ), with James R. Brandon; and Frozen Moments: Writings on Kabuki, 1966-2001 ; and Masterpieces of Kabuki: Eighteen Plays On Stage, with James R. Brandon (2004); Historical Dictionary of Japanese Traditional Theatre (2006), reissued in paperback as The A to Z of Japanese Traditional Theatre (2006); The Encyclopedia of Asian Theatre (2007; Outstanding Academic Title of 2007, Choice magazine; Outstanding Reference Source of 2007, American Library Association); Rising from the Flames: The Rebirth of Theatre in Occupied Japan, 1945-1952 (2009). He served as editor for the Japanese entries in The Columbia Encyclopedia of Modern Drama (2007). 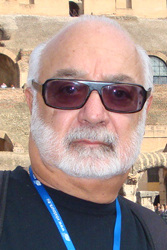 His articles have appeared in such journals as Drama Survey, Players, Theatre Crafts, Educational Theatre Journal, Theatre Symposium, Theatre History Studies, Comparative Drama, Literature East and West, Asian Theatre Journal, Journal of Long Island History, Journal of American Drama and Theatre, Theatre Survey, Theatre Research International, The Journal of the Scriabin Society, and Impressions. He also has published essays in seventeen books, and has directed two dozen plays. In addition to his many professional presentations in the U.S. and Canada, he has given papers or lectured in Beijing, British Columbia, Tokyo, Kyoto, Edinburgh, and Munich. His other activities include doing the back translations of the Broadway musicals The Lion King, Aida, and Wicked for their full-scale replications in Japanese by the Gekidan Shiki company of Tokyo, where he translated the Japanese versions back into English so the original American producers could see how the shows had been altered in translation.Professor Leiter served from 2000-2002 on the executive committee of the American Society for Theatre Research. In April 2004 he was inducted into the College of Fellows of the American Theatre at the Kennedy Center, Washington, DC. In August 2005, in San Francisco, he was presented with the 2005 ATHE Excellence in Editing Award. He is presently writing a book on the history of kabuki after the Occupation, from 1952-1965. Professor Leiter retired in February 2007 but remains active as a scholar.